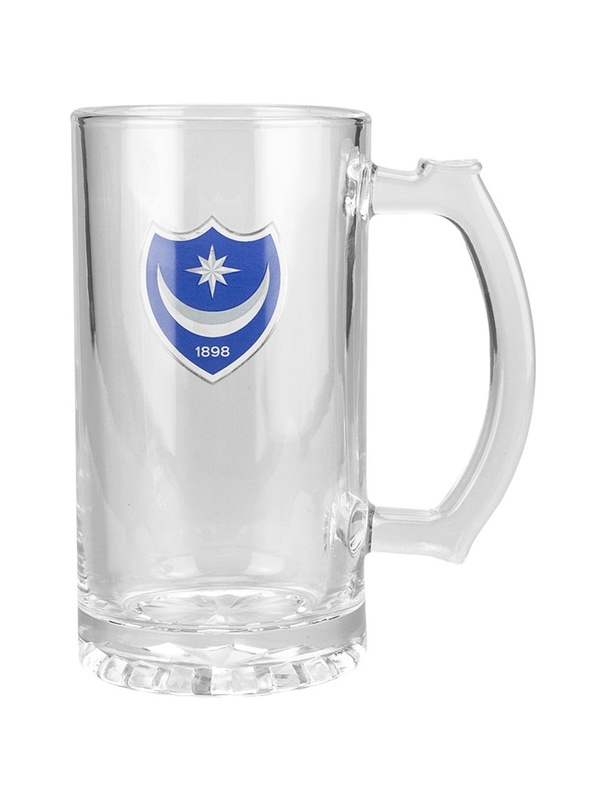 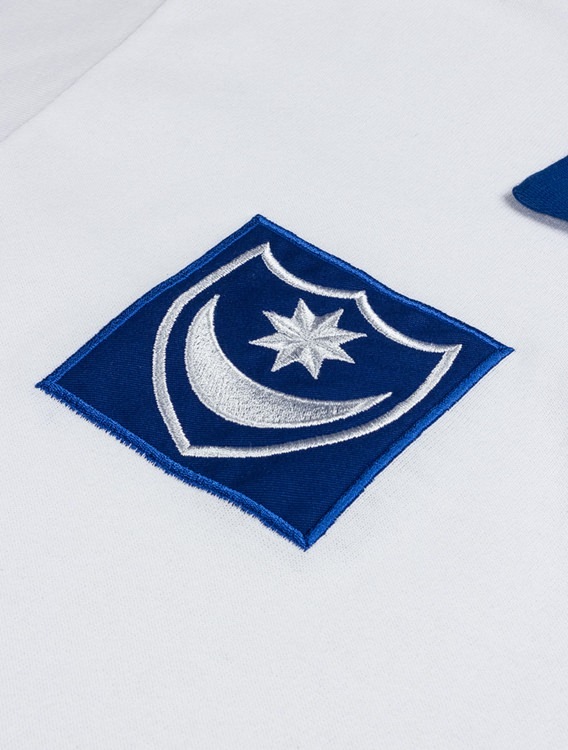 The Portsmouth FC Retro Jersey. 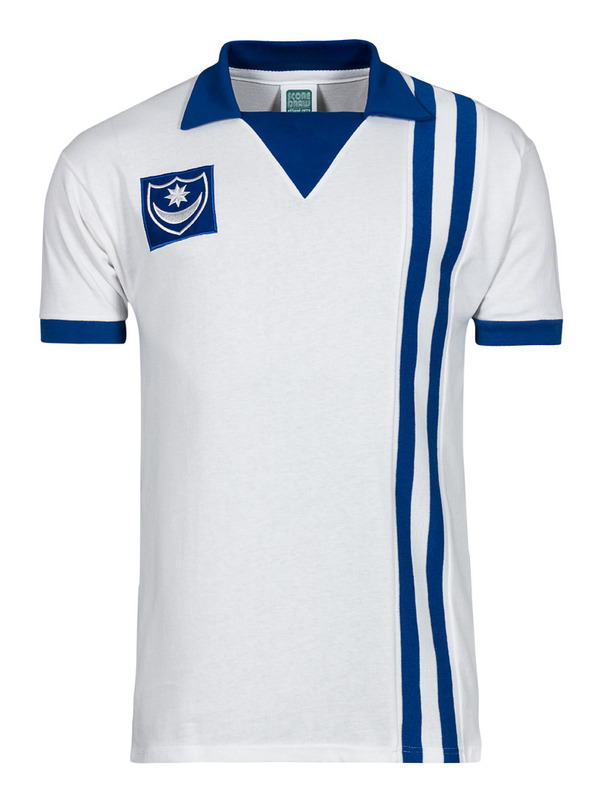 Based on the Jersey worn between the 1973-1976 seasons. 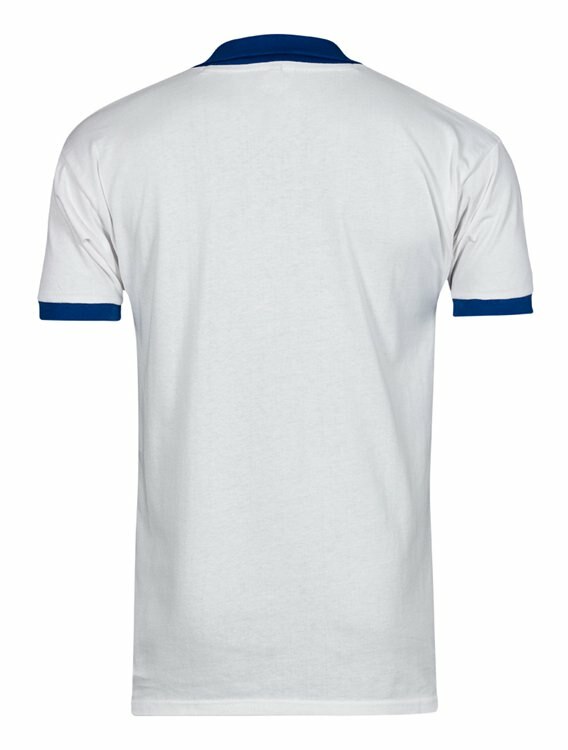 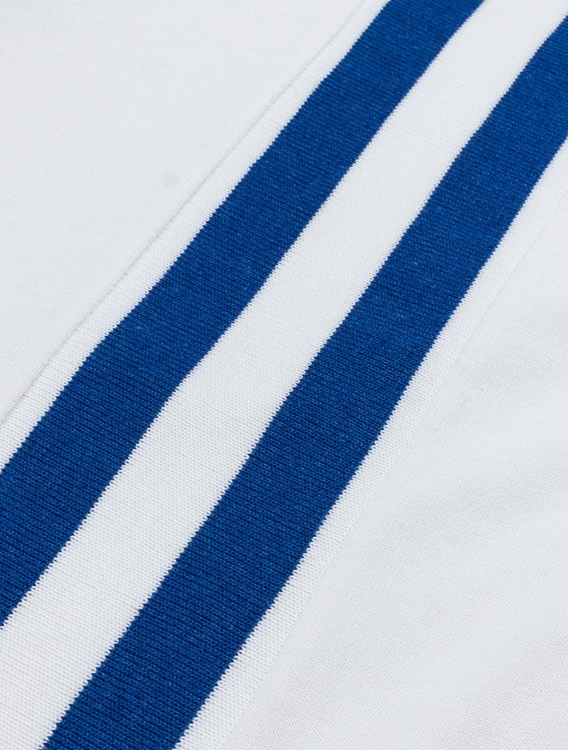 White Jersey with striking blue stripes down the left hand side and club crest application on the right hand side. 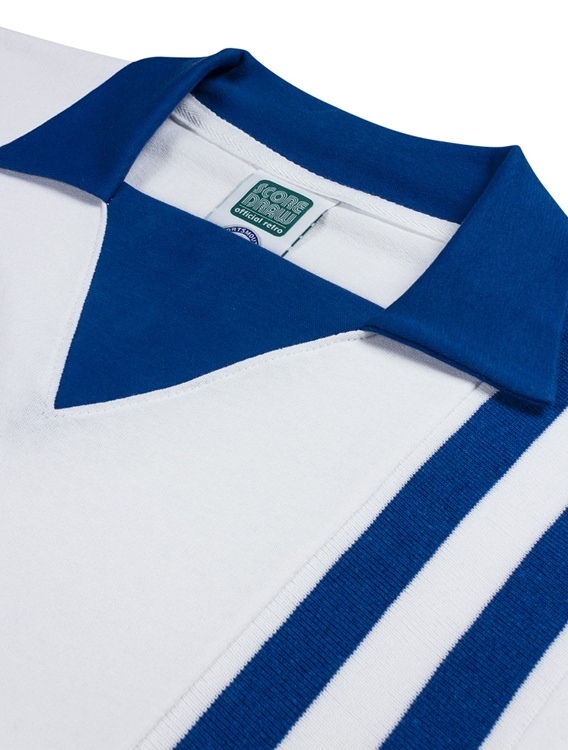 Blue fold down collar with deep v-neck inset.